Buying a luxury car is a serious investment that must be carefully considered. If you’re in the market for a performance-focused, reliable and cutting-edge vehicle, turn to BMW. The new BMW lineup includes Sports Activity Coupe®, Sports Activity Vehicle® and sedan models that will bring new life to your time on the road. Have you been debating between buying a BMW or a Mercedes-Benz? Our BMW dealership near Bartlett, TN, will explain why, in the battle of BMW vs. Mercedes-Benz, BMW comes out on top. BMW was one of the most awarded brands by J.D. Power in 2018. The BMW lineup won three quality awards and two performance awards, which is more than Mercedes-Benz can say. 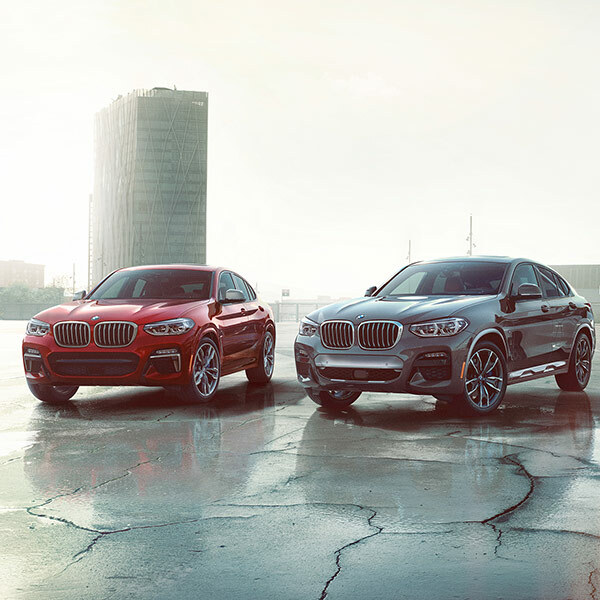 Regarding quality, the 2018 BMW 4 Series, 2018 BMW X6 and 2019 BMW X1 earned top marks in the Compact Premium Car, Midsize Premium SUV and Small Premium SUV categories. Meanwhile, the 2018 BMW X3 and 2018 BMW X1 were named the Best Performance Compact Premium SUV and Small Premium SUV, respectively. Performance is another area where BMW comes out on top compared to Mercedes-Benz. While Mercedes-Benz has the performance-focused AMG lineup at some dealerships, every BMW model is engineered to provide a sporty drive. Those who are looking for exhilarating experiences on the road will prefer a BMW. Interested in a fuel-efficient luxury vehicle? BMW has a greater selection of hybrid models than Mercedes-Benz. The BMW X5, BMW 3 Sedan, BMW 5 Sedan and BMW 7 Sedan are all available with iPerformance Plug-In Hybrid Technology. Mercedes-Benz only offers three hybrid models: The C-Class Sedan, GLC SUV and GLE SUV. Plus, BMW created the 2019 BMW i8 Roadster and 2019 BMW i8 Coupe, all-electric BMW models that will help you reduce your carbon footprint one drive at a time. Mercedes-Benz has yet to release an all-electric vehicle. Still undecided in the debate between BMW vs. Mercedes-Benz? Visit our Memphis, TN, BMW dealership to test-drive the BMW you’ve been eyeing. Experience the difference a BMW makes firsthand at Roadshow BMW.